Every now and then, car- or house-sized bodies entering Earth’s atmosphere from outer space meet a fiery end in a final blaze and remind us that interplanetary space is not quite as empty as it seems. Even larger (and thankfully less numerous) objects are known to have made it to the surface of the Earth, producing more or less large craters, and spelling doom for local or even global ecosystems. Many scientists think that one such event, which has produced the ~160 km diameter Chicxulub crater on the Mexican Gulf coast, has at least helped to finish off the dinosaurs. However, even this cataclysm, caused by a projectile several kilometers in diameter, was a minor nuisance compared to the battering our Earth and her fellow terrestrial planets have taken in their youth about 4 to 4.5 billion years ago. Not only were impacts generally much more frequent at that time, but some of the collisions involved meteorites with diameters of several tens to hundreds of kilometers or even more. The pockmarked surfaces of some other planetary bodies such as the Moon still bear witness to that brutal past, but it has been only in the course of the previous century that this has been fully recognized and that meteorites and a certain type of craters have been related to each other geologically. In the course of the 20th century, and especially after World War II, advances in the physics of shock and impact phenomena have provided us, among other things, with an elegant theoretical framework that relates impactor properties and energy to crater dimensions by relatively simple scaling laws. The insights gained from them make it clear that impacts on a scale involving projectiles hundreds of kilometers in diameter and resulting in craters measuring many hundreds or even more than a thousand kilometers must have punched through the rigid outermost shell of the planet that is called lithosphere and comprises the crust and the uppermost mantle. 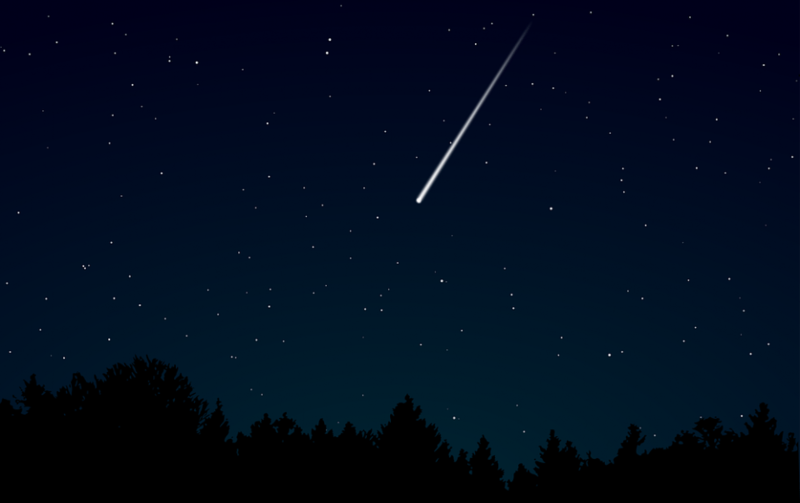 Moving as they do at velocities of several kilometers or even tens of kilometers per second when hitting their target, meteorites trigger a shock wave in it that stresses the material far beyond its elastic limit as it races through it at supersonic speed. Much of the vast amount of energy associated with large impacts that does not go into the deformation of target and projectile and the launching of ejecta is converted into heat, a part of which is buried deep in the interior in these large events as the transient crater cavity closes again. This sets the stage for the geodynamical effects of large impacts to unfold. Since the last third of the previous century, the existence of convective motion in Earth’s mantle has been firmly established, and density differences due to temperature variations have been identified as a driving force for buoyant flow right from the beginning. Although thermal mantle convection in the Earth and the other terrestrial planets have already been modeled numerically for decades, its interplay with basin-forming impacts in their early evolution has been considered more extensively only in the past decade or so. A favorite target of numerical modelers has been the planet Mars, which has the benefit of being fairly well explored and having an old surface with ancient craters but also with vestiges of more recent geological activity, including volcanism. Since some pioneering studies from the beginning of the millennium , it has been established that impacts of a magnitude that produces large basins of thousands of kilometers in diameter go along with enormous thermal anomalies and extensive melting in the mantle. These hot zones rapidly rise and spread beneath the lithosphere, disrupting preexisting convection patterns and capturing plumes from surrounding regions in their flow field . Very large impacts are able to reorganize the flow field in such a way that a stable plume may emerge beneath the impact site, and a succession of such events would even have resulted in a long-term change of the global heat output of the planet . Eventually, however, the thermal effects decay as mantle flow disperses the anomaly and the heat diffuses away. Recent models  that extended such convection models by a calculation of melt production and concomitant compositional changes of the mantle found that the massive production and extraction of melt produces a chemical anomaly along with the thermal one that has a substantial buoyancy due to its different composition. This compositional contribution to the total buoyancy can be strong enough to anchor the impact-generated anomaly at the base of the lithosphere, where it spreads out but may not be obliterated altogether by later mantle flow. By this mechanism, chemical heterogeneities formed in the early martian mantle may have survived to the present, which may explain some of the chemical variability deduced from the analysis of meteorites known to originate from Mars. While most of the studies in this field represent the impact process in a simplified way, recent work aims to combine dynamical mantle convection calculations with more realistic, fully dynamical simulations of the impact process. This type of modeling has been developed in parallel but largely independently from mantle convection simulations in the past decades, although both are based on the mathematical formulation of fluid dynamics. It has been applied to shock phenomena of all sorts, from the impact of artificial hypervelocity projectiles onto a target to giant impact phenomena in planetary science such as the gigantic collision in which a Mars-sized body collided with the proto-Earth, supposed to have formed the Moon . Indeed, the usual application of scaling laws is likely to give inaccurate results if the size of the impactor approaches that of the target planet, which would be the case not only for the Moon-forming collision, but also for the somewhat lesser, but still humongous, impact that may have caused the northern hemisphere of Mars to have a thinner crust than the southern (a feature known as the crustal dichotomy of Mars). In that case, fully dynamical simulations of the oblique impact of an asteroid of more than 1000 km diameter on Mars have been able to reproduce characteristic features of the dichotomy . The forte of such models is that they capture the multifaceted physics of the impact – crater formation, ejecta ballistics, shock-wave propagation, heating and melting – more accurately and in more detail than the idealized scaling laws. Both types of simulations are computationally very challenging, but feeding the results from a dynamical impact simulation into a convection algorithm holds the promise to develop more realistic models that may better explain actual observations made by spacecraft. This was exemplified in a recent study of the effect of multiple large impacts on the Moon, in which for instance the production of ejecta blankets was taken into account : it demonstrated that their insulating effect leads to a hotter interior and increases the heat flux through the Moon’s surface noticeably. These advances towards more realistic models of planetary interiors that integrate concepts from geophysical fluid dynamics, petrology, and mineralogy as well as applied geophysics and geology facilitate a fuller and deeper understanding of the plethora of impressive observations that the many spacecraft missions of the past years have brought us and help us to plan future missions. Numerical modeling is thus a time machine that takes us back into the distant past of our Solar System, lets us follow the evolution of the planets, and enables us to understand better why they, and our own Earth, are the way they are. A part of this study, On the relative importance of thermal and chemical buoyancy in regular and impact-induced melting in a Mars-like planet was recently published by Thomas Ruedas and Doris Breuer in the Journal of Geophysical Research – Planets. Thomas Ruedas is a postdoctoral researcher at the University of Munster in the Institute of Planetology. Their research focuses primarily on Geophysics and Computational Planetary Science.